Time: May 3, 2011 at 8 P.M. 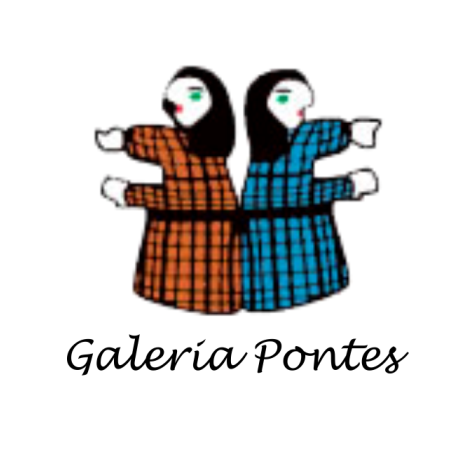 In May 2011 the Galeria Pontes presented the show about popular artists of Pernambuco and Paraíba. These two Northeastern states are noted for their production of folk art rich and diverse. We find wood carvings and ceramics, paintings and prints by various artists. Pernambuco has a long tradition in folk art. The first popular artist recognized for the originality of his work was just one of Pernambuco Caruaru, Mestre Vitalino. Manuel Eudócio, only disciple of Vitalino that continues to produce, creates a cheerful ceramic type gallery, animals and figures from folklore very colorful and playful. Marliete, daughter of Zé Caboclo, another contemporary master of Vitalino, delicate miniature ceramic models in revealing everyday scenes with great perfection. Gilvan Samico, for many the greatest living writer, not an artist but will integrate popular exposure because there is a perfect dialogue among its charts and figures that are part of the popular imagination. Works of J. Borges and J. Miguel, authentic recorders popular with their fantastic creations will be participating. Among the artists who were part of Paraíba exhibition highlights are the painters Alexandre Filho, renowned artist, with pieces scattered throughout the world and Luis Tananduba, whose color palette refers psychedelic painting, but it creates a pure intuition. We also Miguel dos Santos, an important painter and ceramist Pernambuco, but long settled in João Pessoa. Your creativity is released and expressed through figures produced by his fertile imagination. On display will also present other great artists as: Gina Dantas – potter, Bento – wood sculptor, Mestre Cunha – sculptor in wood, Nenê Cavalcanti – ceramicist, Tota – ceramicist, Wilson Figueiredo – with wire frames, Zé Bezerra – wood carving, Tiago Amorim – ceramicist, Bajado – painting, Oziel Dias – wood carving, Rosilene Lima – painting, Chico Ferreira – ceramicist, Tarcisio Andrade – wood carving and Geraldo Andrade – paintings, mixed media.